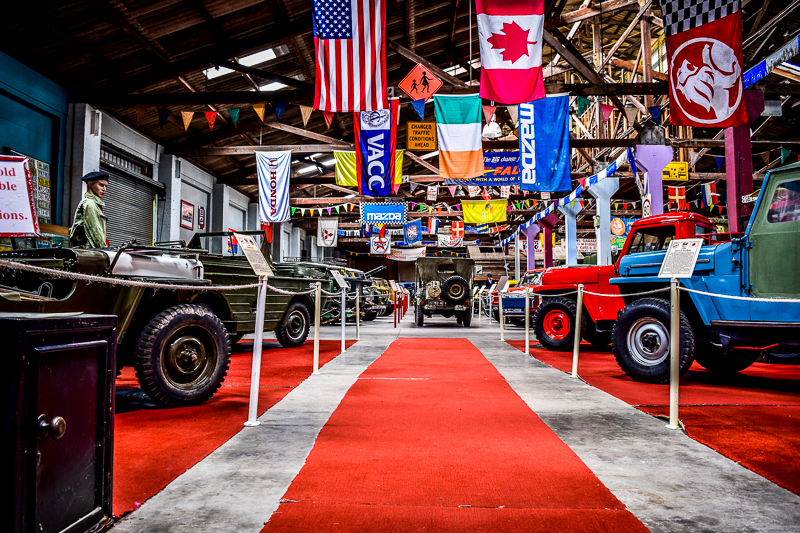 There are many places a town should be proud of and one for us is The Gippsland Vehicle Collection, Maffra Motor Museum. For a small town in Australia with a population of 5,000 people, it is amazing to think that a vehicle collection museum as beautiful and unique as this would call our little town of Maffra Victoria home. 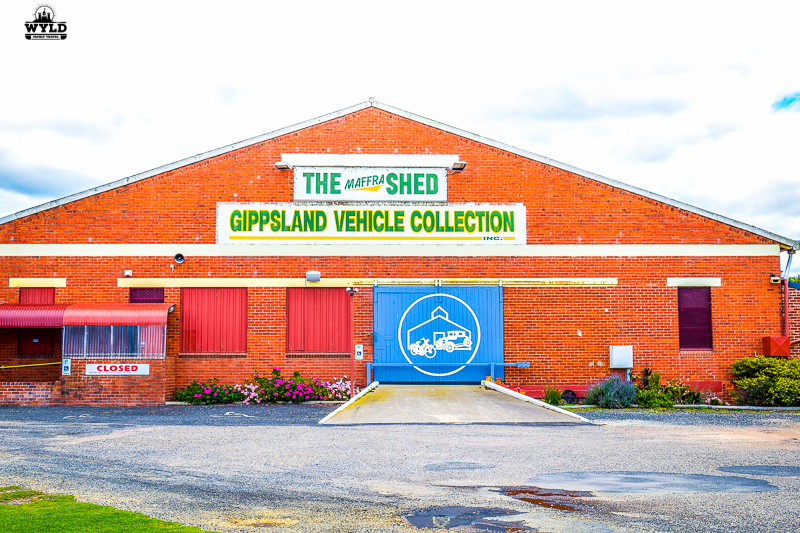 Like most great Aussie ideas The Gippsland Vehicle Collection was developed by 3 mates and 1 pub. After the Grand Prix Rally had been held in town they all had realised how many beautiful cars had been bought out from a life in their owners shed. The cars had proudly been brought out to show the world and the question was, how many could be bought out more often? The idea of a Motor Museum was becoming a reality. Surprisingly the Motor Museum started fast. An inspection of an old unused shed that was previously a dehydration plant that was lying vacant just within Maffra happened the next day. It was large enough to house displays of cars and any other memorabilia that would be of interest. It was also a perfect spot as at the front was a large grassed area that could be used for parking, the possibilities of developing this area could be endless. Over the next few months, meetings were held with Murray Goulburn to work out an arrangement for the lease of the shed. Finally, a ‘peppercorn’ lease was arranged and the home of The Gippsland Vehicle Collection had been found. 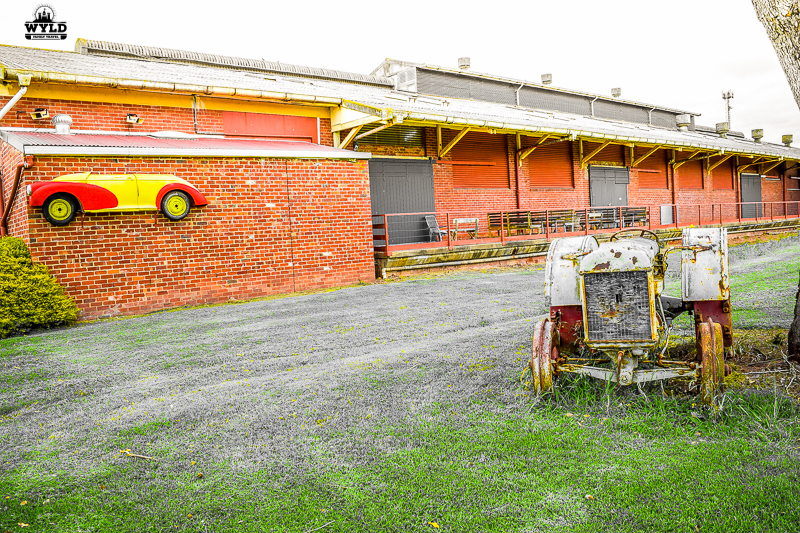 Once the home for the Motor Museum was found there was a massive clean up needed. As it had been left unused for many years windows needed to be boarded up, beams needed to be repaired and with the help of the local Maffra Fire Brigade and their fire hoses, a general clean up was underway! As you can tell there were plenty of people interested in the start of ‘The Shed’. The official opening for The Gippsland Vehicle Collection was on 14th of October 2006 and cars turned out in droves with their proud owners. Because of the large grassy area in front of the shed (and the beautiful Maffra weather on the day), there was plenty of room for extra cars to line up out the front that were not part of the official vehicle collection being housed on the inside of The Shed. People from far and wide came to see what sort of cars had turned out, it was a huge success. And from there The Gippsland Vehicle Collection has gone in leaps and bounds. It quickly became one of the places to visit in Gippsland. You may be asking how all of these cars can possibly be tracked down. A database was developed with members entering their car details onto it. This allows The Gippsland Vehicle Collection to contact the owner and ask if they are willing to ‘lend’ their car for display purposes. 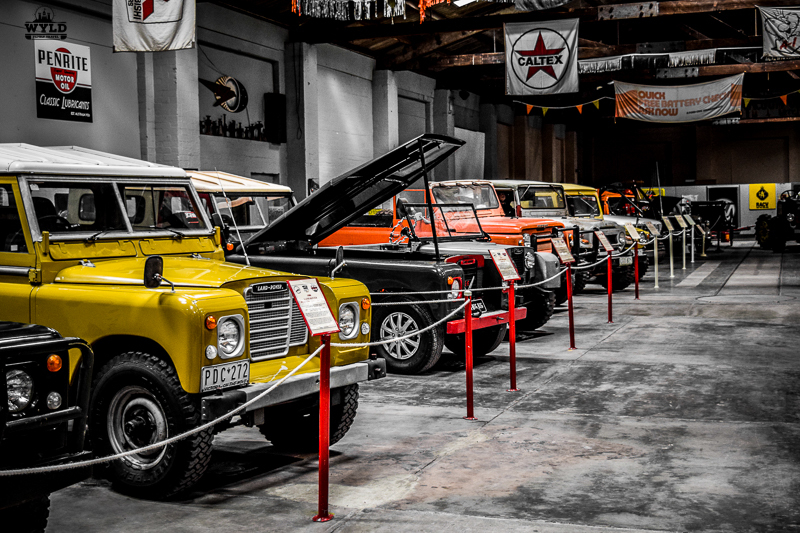 With the reputation that The Gippsland Vehicle Collection has gained itself, private collectors are more than happy to ‘lend’ their cars to the Motor Museum for a period of 4 months if their car is suitable for the current display. The displays are changed every three months in March, July and November each year with a grand opening held on a certain weekend. 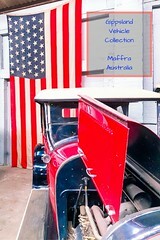 This allows people to be constantly wowed by the ever changing display at The Gippsland Vehicle Collection. With a large number of members increasing over the years The Gippsland Vehicle Collection decided to become a part of The Club Plate Scheme. This is a permit scheme for people with cars over 25 years old so they can be driven for between 45 days and 90 days per year without having to pay a full registration. As some of these cars are works of art they are not taken out for a run to the shops on a regular basis so this has been a magnificent way to get people to visit Gippsland and share the beauty of the car they own. With all good organisations, the volunteers are the backbone of this beauty. In many cases, it has accidentally become the go-to place for people with a common interest for support through hard times. Not only can they bond over their passion for cars but they can check in on a mate who may need that extra care. People are welcomed with open arms and it is also with these people that they help out other worthy organisations. There have been fundraisers for local families and for other larger organisations like The Breast Cancer Foundation and the Royal Children’s Hospital Good Friday Appeal. It has also been with these volunteers dedication that many improvements have been made to the shed to make it what it is today. There is an outdoor area with a bbq and seating, disabled access, a small kitchen that can cater to basic food and an indoor eating area with toilets. The area out the front is also a great place for people to park their vans overnight with a dump point facility easily accessible. For people living in the town and seeing it as we drive past you can see how much goes into keeping it looking so good. It had been with all of this hard work and dedication that in the near future ‘The Shed’ will be owned by The Gippsland Vehicle Collection. We have taken the girls to plenty of the days held at The Gippsland Vehicle Collection and they have both attended displays with their school groups. While we don’t know a lot about cars we have absolutely enjoyed our visits there. The kids are always thought of with their open days and catered for. The cars that are on display are always unique and even if you are not ‘into’ cars you can always appreciate the pure workmanship that goes into every tiny little beautiful detail. There are always plenty of children and families wandering chatting about which car is their favourite, especially when the Maffra weather is at its best. Another part of the display that they love is the clothing from the era the cars are from. A local couple tries their hardest to match clothing and other items of interest to match the current display. It really adds a whole other dimension to the display within The Shed. We are very much looking forward to their next Open Day which is to be held on Sunday the 13th of November 2016. This display is called ‘Off-Roaders’ and Mark got a sneak peak last Wednesday while I had the pleasure of sitting down with Sue and Graham for a chat. 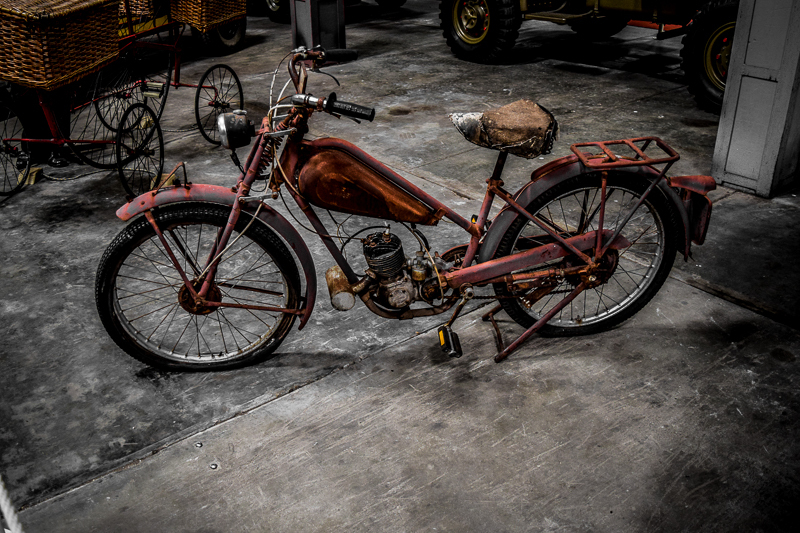 While we are sharing some pictures of what will be on display within The Shed we can’t tell you what other gems will be bought out for the day. There is nothing like getting down there and seeing the display for yourself. ‘The Shed’ is open EVERY DAY of the school holidays if you are looking for a family-friendly activity. Adults $10 – Concession $8 – Under 15 Free. The Gippsland Vehicle Collection is an absolute credit to the hours and hours of love and care that its volunteers put into it. It is a definite must-see if you are in the area and if you are not it is worth a drive up this way to see it. I hope you make it to this display and if you can’t I hope you put it on your list of places to see in the future as it is one of the best Gippsland Attractions. 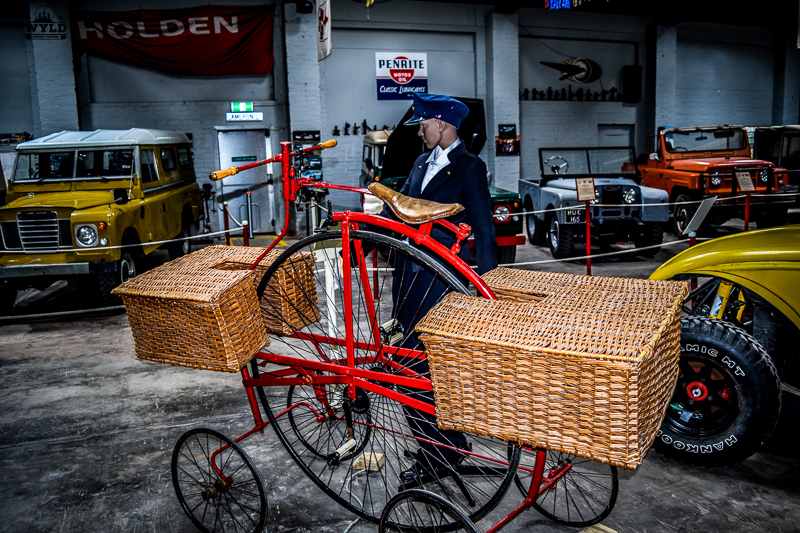 If you would like any more information on The Gippsland Vehicle Collection please head over to their website. If you have questions I am sure they will be more than happy to answer any you have! If you are heading up this way and are looking for some of the best things to do in Gippsland you might find these two posts some help for your Gippsland Travel! We here at Wyld Family Travel love our little area in The East Gippsland Shire and we hope you fall in love with it too! This is such a fun post. 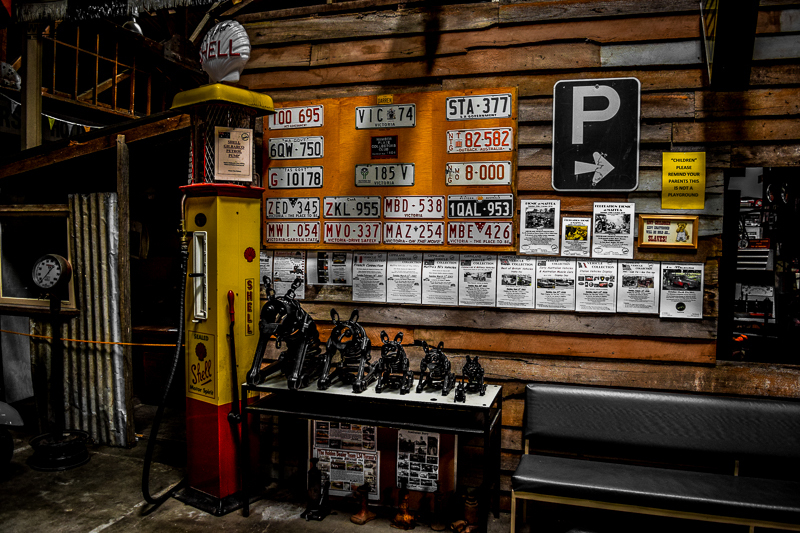 Love all of the antique cars and automotive paraphernalia, especially the old gas pump. This museum must be such an interesting place to visit and explore. Thanks for sharing all of the great photos. You really bring the experience to life. I’m a huge fan of vintage cars, so this is my wonderland! I wish I could drive one in real life. I love checking out old cars and trucks. This looks like a great way to spend a day outside of the city and experience some awesome automotive history. We must keep it on our list to go see next time we’re in the area. I spotted an old Landrover like oneI used to have!